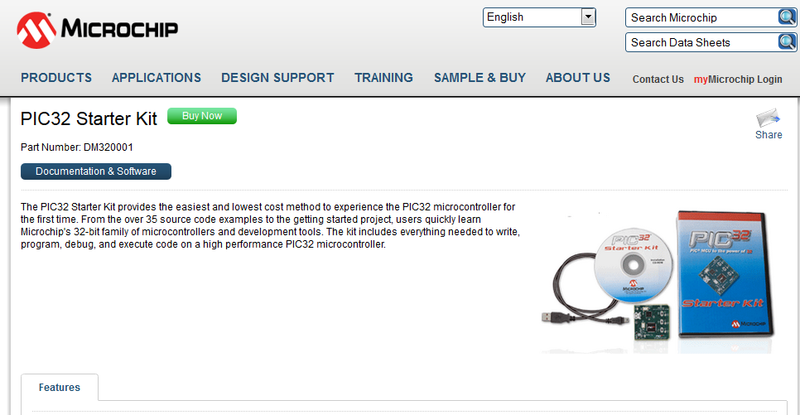 The hardware that we are going to use is PIC32 Starter Kit. The following picture is a screen shot from "PIC32 Starter Kit - DM320001 | Microchip Technology Inc." web site for your information. In PCSpim, we can use system call (syscall) to handle the input and output. prompt1:     .asciiz "Please enter an integer:\n\000"
printInt:    .asciiz "The sum is: %d\n\000"
You indicate the position for the output data in the message. prompt1:     .asciiz "Please enter a string up to 50 chars:\n\000"
* This project asks the user to enter an integer. * The software will then determine the sum. ##	the sum will be returned by $v0). * This project asks the user to enter a string. * The program then counts the number of vowels in the string. prompt1:     .asciiz "Please enter a string up to 50 chars long:\n\000"
printNumVowels: .asciiz "The number of vowels is: %d\n\000"
#printChar:   .asciiz "The var sitting in the return is: %c\n\000"
#printInt:    .asciiz "The int sitting in the return is: %d\n\000"